Despite the Federal Government recent proscription of codeine containing syrup in the country, the sales and consumption of the abused drug still strive in Kano.Available record shows that about two million bottles of codeine is consumed daily in Kano, predominantly abused by youths and housewives. 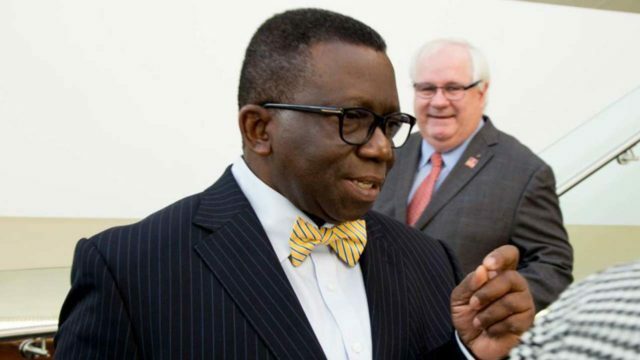 The Federal Government issued the immediate ban of all syrup containing codeine on first of May 2018.The directive, issued by Minister of Health, Prof. Isaac Adewole, also asked the Pharmaceutical Council of Nigeria (PCN) and National Agency for Food and Drug Administration and Control, (NAFDAC) to supervise the immediate recall for labelling and audit trailing of all codeine containing cough syrup in the country. However, observation at the Sabon-Gari open drug market suggested no government action whatsoever restricted the sale and distribution of the codeine containing syrup in Kano.Similarly, the supposed proscribed codeine are still on the shelf of licensed pharmaceutical distributors as The Guardian authoritatively gathered that the drugs are being supply strictly on prescription. One of the pharmaceutical dealers at the market, Aminu Yakubu, told The Guardian that government cannot control such highly demand medication in Kano.According to him: “It will be difficult for government to stop the marketers from selling codeine because of the money involved. Do you know how many cartoons of codeine we sell daily? Head of NAFDAC in Kano, Shabba Mohammad, said the enforcement of government directive on recall of codeine was yet to pick up in Kano. He, however, attributed the laxity to the ongoing industrial action of Joint Health Sector Union (JOHESU). According to him: “NAFDAC is regulating the control of drugs and on the Federal Government directive on codeine, we have started making efforts to commence the enforcement, unfortunately our members of staff are also members of health workers who are currently on industrial action but I can assure you that full scale work will commence very soon.”Also, Head of Pharmaceutical Council of Nigeria (PCN) in Kano, Sulaimon Chiroma, said enforcement would soon start in Kano.